What Type of Box Track for Sliding Doors Do I Need? One of the key components for proper sliding door operation is choosing the right box track. For sliding doors, there are several different types of box tracks designed for doors of varying sizes and weights. 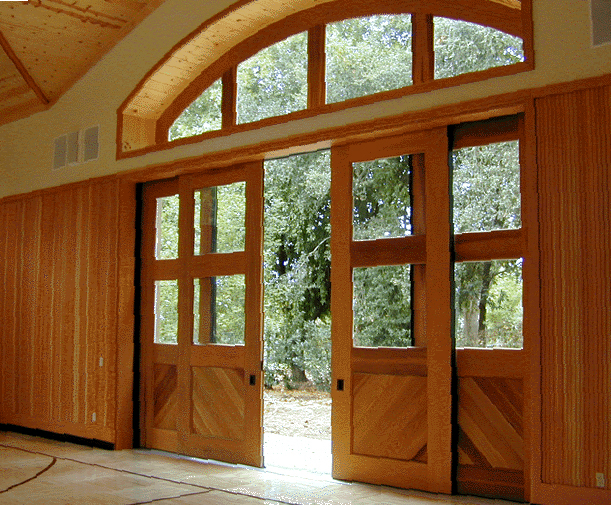 Doors with weights up to 400 pounds require a light duty sliding door track. This type of track is available in varying lengths, ranging from six feet up to twenty feet. As in all track weights, Light Duty box track features a 90° machined channel on which the hanger assemblies ride. Track sections can be joined together for longer configurations by using special brackets to lock each section together at the track edges that have a slot on each edge for this purpose. Medium Duty sliding door box tracks are another type of track you can use. These tracks have a 600- 800 pound capacity. They are designed for heavier door applications. Track sections range from six feet to ten feet in length. Just like Light Duty track system, Medium Duty track sections can be joined together to create custom lengths. The track system, door hanger assemblies, and support brackets are larger on medium duty systems, compared to light duty systems. 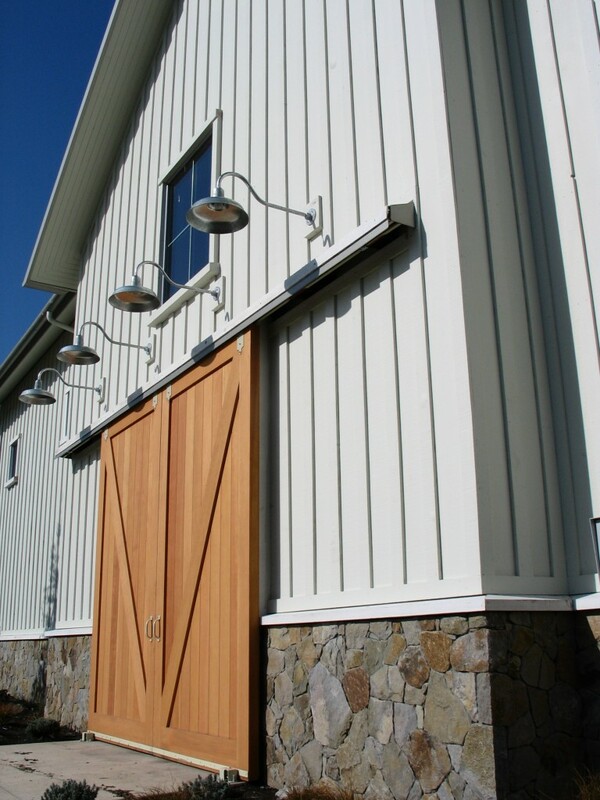 For doors weighing more than 800 pounds, and up to 1,000 pounds, you would need to choose a heavy duty door track system. The brackets, hangers, and other accessories used for mounting purposes also increase in size. Track sections range from six feet to ten feet sections. In addition, if you are connecting the doors to pneumatic, hydraulic, or electronic powered controls, regardless if the doors weigh less than 1,000 pounds, you need to use heavy duty track systems. The last track system is an extra heavy duty sliding system and is for doors weighing more than 1,000 pounds and up to 5,000 pounds. Due to the weight of the doors, most applications are powered to open and close the doors. Further, heavier gauge steel is used for the tracks, brackets, hangers, and other accessories. Sidewall Brackets– Mounting The box track is installed above the door on the wall with sufficient clearance for the door to open and close easily. Side Brackets, multiple Center Brackets and End Stops are used. Centerstop Brackets – These are used in sidewall mounting for bi-parting doors (two doors on the track, one opens to the left, the other to the right) to stop door movement at the center point. Double Sidewall Bracket Mounting – A double sidewall mounting configuration is used where there are parallel sliding doors or panels. Again the brackets are installed above the door on the wall with sufficient clearance for the doors to open and close. Side Brackets, multiple Center Brackets and End Stops are also used. Overhead Bracket Mounting – Overhead mounting configurations are well suited in cases where sidewall mounting is not feasible or desired. The tracks are secured to an overhead support beam to provide stability. This method is well-suited for interiors where you want to create temporary and moveable partitions. Centerstop Brackets can also be used for bi-parting doors along with overhead Side Brackets, multiple Center Brackets and End Stops. To learn more about sliding box tracks and which one you need, call RW Hardware now at 800-253-5668, ext 4678 to speak with one of our sliding door system experts.